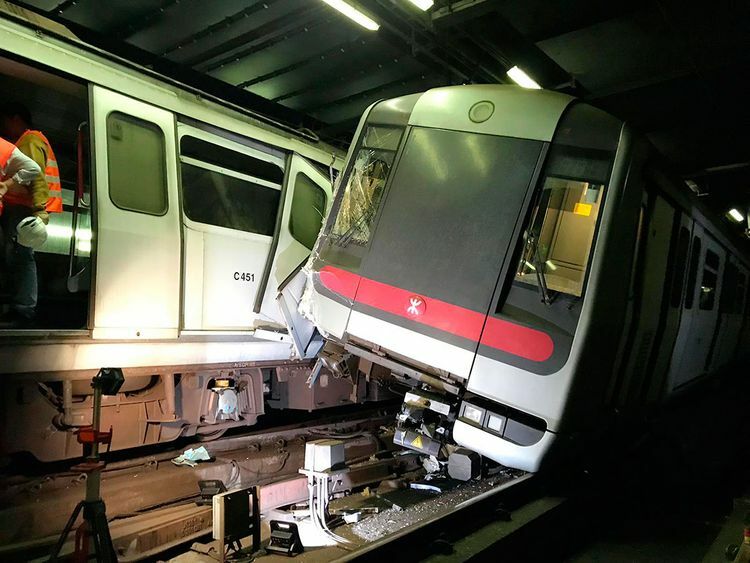 Hong Kong: Two Hong Kong subway trains collided during a test run of a new signaling system, representing the latest mishap for local rail operator MTR Corp. in the Asian financial hub. 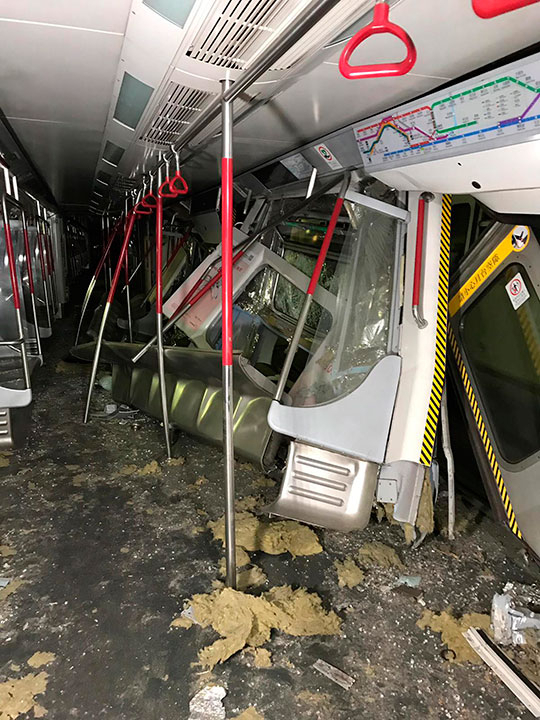 The accident occurred Monday around 3am, when train services weren't open to the public, according to MTR. Two drivers were taken to the hospital, with one having a leg injury, MTR Operations Director Adi Lau said. The accident occurred about five months after a rare, simultaneous signaling glitch on four subway lines caused chaos at stations during the morning peak-hour rush. Hong Kong's subway, often lauded as being among Asia's best, carries millions of passengers on weekdays. Service on the Tsuen Wan line between Admiralty and Central, where Hong Kong's main business districts are located, is suspended on Monday. Passengers can use the alternative Island Line to travel between the two affected stations. The collision is suspected to be related to a temporary malfunction of a security system, Lau said on Monday. The confirmed reason for the accident is pending further investigation, Lau said. Hong Kong's government said it is following the situation closely. Frank Chan, secretary for transport and housing, contacted MTR Chairman Frederick Ma and asked the company to hold an urgent board meeting to investigate the incident.